For information about any of these patriots, please contact the registrar. Please visit the NSDAR Patriot Index Lookup Service for information on patriots not listed on this site. 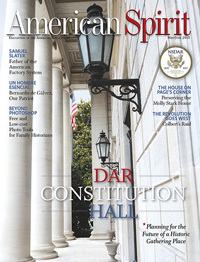 The DAR’s beautiful, award-winning American Spirit magazine shares the National Society’s love of American history, preservation, and genealogy with readers around the world.Click here to learn more! 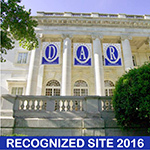 Visit our national and state websites and social media sites for more information on DAR activities. Copyright © 2019 Sarah Polk Chapter DAR. Powered by WordPress. Theme: Spacious by ThemeGrill.